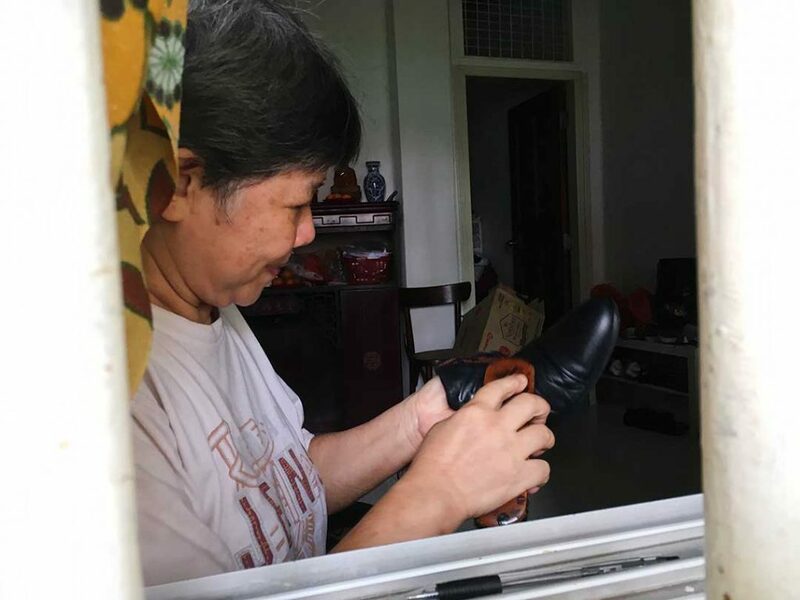 62 year old Alice Wong is unlike any cobbler I’ve ever met. For starters, while most cobblers are men, she’s a woman. 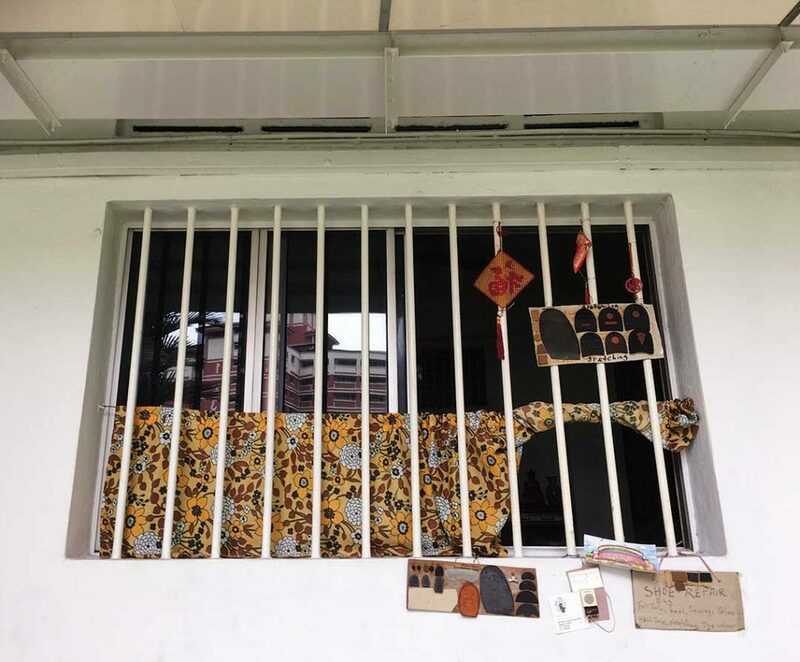 And instead of a makeshift stall set up outside an MRT station, at People’s Park Complex or under a HDB walkway, she operates through the window of her home at Moh Guan Terrace in Tiong Bahru. A hidden gem in a trendy neighbourhood, her storefront (or window front) is simple yet iconic. From the yellow floral-patterned half-curtains to the shoe soles stuck on cardboard, it’s a far cry from the hip cafes and restaurants just around the corner from her home. With the emergence of fast and affordable fashion, Alice’s business and others like it have suffered. Moreover, it doesn’t take a genius to figure out that such cheap shoes aren’t very foot-friendly. What’s created is then a vicious cycle, with consumers continuing to hurt their feet just to save a few dollars and shoe repair businesses in a rut without shoes to repair. So next time, don’t skimp on your shoes. 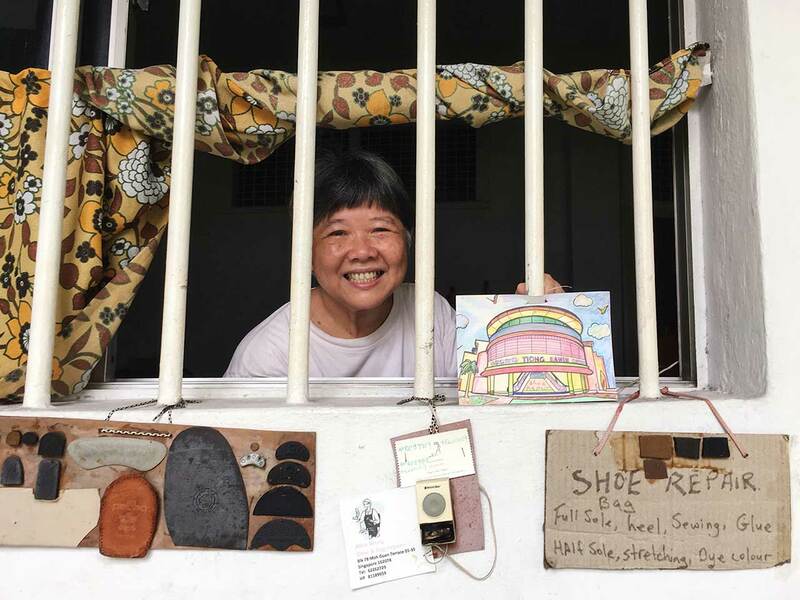 Alice tells us she is the only female cobbler left in Singapore. She's been plying her trade for 46 years. In fact, she’s saved enough just by repairing shoes to take a trip to China next month. Her only problem is she’s not quite sure what camera to buy. She tells me that people from her generation, have a long philtrum, and that means a long life. These days, everyone’s philtrum is short, “like yours” she points at me. I shrug, trying not to take offence. Meanwhile I make a mental note to go home and inspect my philtrum (FYI: It’s not that short). The window in Alice's home that doubles up as a store front - it has become a unique landmark in the Tiong Bahru neighbourhood. (5) Why are millennial eyebrows so thin? We’ll leave this for you to decide whether or not you’re going overboard with your brows but to be fair, Alice does sport a decent set of eyebrows for someone her age. Alice is a self-taught cobbler, starting at the tender age of 16. “I learnt how to repair shoes on the job,” she tells me. Learning on the job is never an easy task and one is bound to make mistakes. Even though Alice and I might disagree on which face shape guarantees longevity, her work ethic is one that I can agree with. Whereas most people shun failure, Alice has embraced it as a necessary part of improvement. 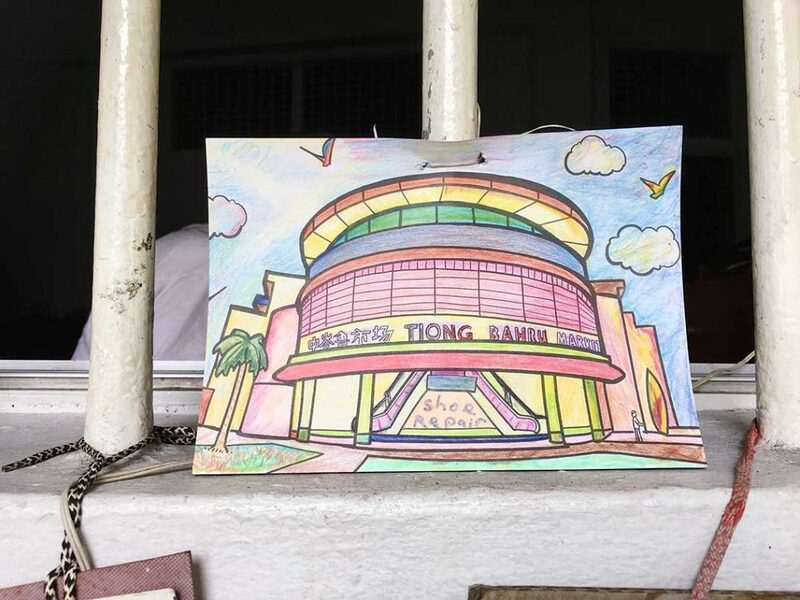 A drawing of the famous Tiong Bahru Market. Whenever it closes for repairs, Alice's business takes a hit as customers have no other reason to frequent the area. 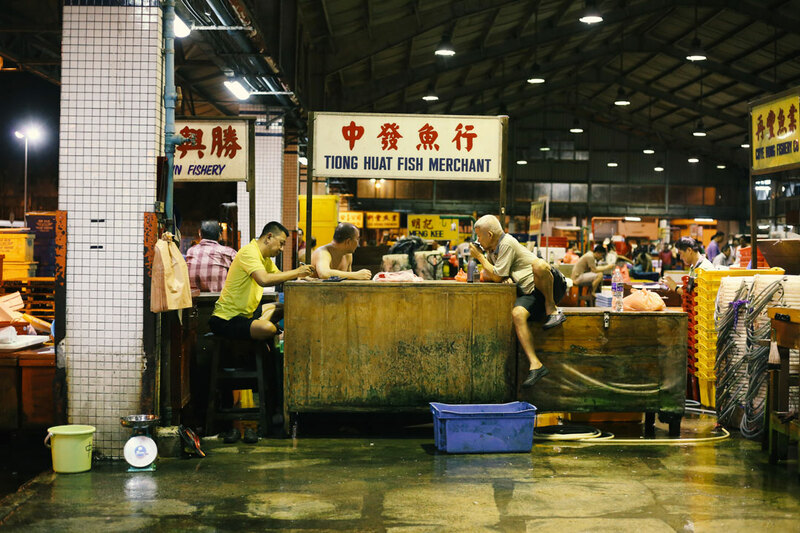 How do you keep a dying trade alive? Maintain a good reputation and relationships with your customers. And how does this make her feel? Throughout our hour and a half long conversation, Alice pauses several times to wave and greet passersby who she knows, her face lighting up each time. Although none of them approach her with shoes to repair, it’s clear that she knows to value relationships. 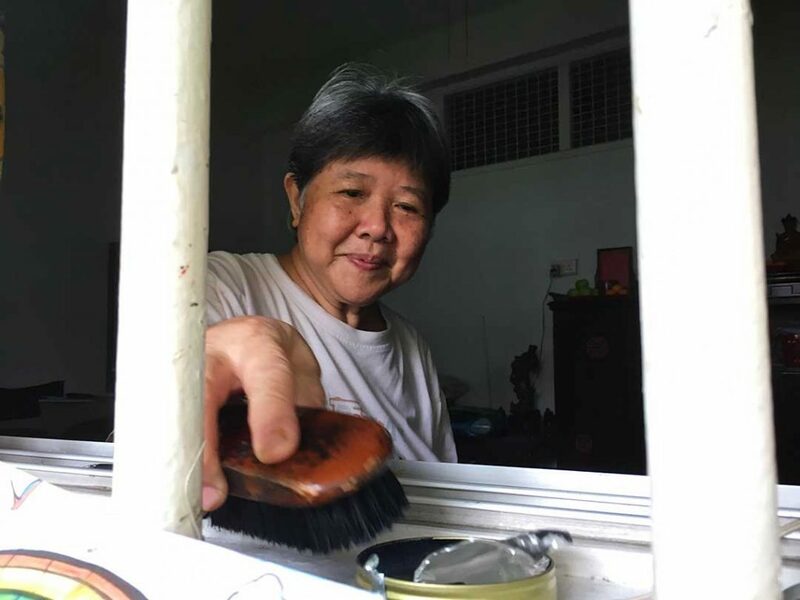 Cobbling isn’t Alice’s only skillset, in fact, she’s enrolled in several courses at the Tiong Bahru Community Centre to keep her mind active. She pays about $60 to $190 per course and while it’s expensive for her, it’s worth it. So far, she’s taken pottery and portrait drawing class and next month, she’s planning on learning the Erhu. And even though she sounds like she’s reading off from a BuzzFeed and Thought Catalog article, because she walks the talk, her words carry infinitely more weight. But still, maybe not cobbling. So with all that said and done, what’s next for Alice? Well, cobbling. In the 90 minutes I spent with her, it was at times, all too easy to dismiss her as a grumpy old woman with a chip on her shoulder. But once I looked past the grumpiness, I quickly realise that Alice is just a woman trying to make a way for herself and for her trade in a fast-changing world.